With GetYourGuide you can discover thousands of unique and unmissable things to do around the world. GetYourGuide makes planning and booking simple so you can focus on what counts: having an incredible time. Book nowopens an external website in a new tabOpens an external website in a new tab. Whether you want to skip the line to the top of the Eiffel Tower or take a traditional cooking class in Rome, GetYourGuide will reward you with both Skywards Miles and unforgettable memories when you book tours and attractions worldwide. Earn 1 Skywards Mile for every euro or equivalent spent on all bookings. Book via emirates.com and add your Emirates Skywards membership number to your booking to earn Skywards Miles. Emirates Skywards members can earn Skywards Miles for tours and attractions booked for themselves or family and friends via www.emirates.com, providing the correct Emirates Skywards membership number is entered into the booking. Emirates Skywards members are unable to amend their membership number after the booking has been made. In the event of Skywards Miles not being posted to the membership account, missing Skywards Miles can be claimed by logging in to their Emirates Skywards account and completing the online claim form on emirates.com. Emirates Skywards members will earn 1 Skywards Mile for every euro or equivalent spent on all bookings, including taxes. The number of Skywards Miles to be awarded will be displayed at the time of booking. Currency exchange is dynamic and subject to change at the discretion of GetYourGuide. Emirates Skywards members who have booked a non-refundable activity and who either cancel or fail to utilize the booked activity will not earn Skywards Miles. Skywards Miles will be awarded within six weeks of completing the activity. In booking via www.emirates.com, Emirates Skywards members consent and authorize Emirates to collect and transfer select information to GetYourGuide in order to honor the partnership benefits. This includes title, first name, last name, and membership number. GetYourGuide’s use and disclosure of personal information may be different to Emirates. GetYourGuide may not be bound by privacy laws that provide the same level of protection as those binding Emirates. 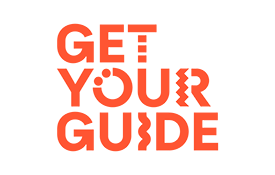 All bookings and payments made are managed by GetYourGuide. GetYourGuide terms and conditions apply. The prices and Skywards Miles quoted are dynamic and subject to change. The prices quoted at the time of booking are correct.